Corsair, a worldwide designer and supplier of high-performance components to the PC gaming hardware market, today announced the Vengeance® 2000 Wireless 7.1 Gaming headset and Vengeance C70 PC case. The new products are the first wireless headset and first PC case in the company’s growing arsenal of award-winning Vengeance PC gaming products. "Our Vengeance wired headsets have built a loyal following by giving gamers a competitive advantage with detailed positional audio, reliable voice communication, and comfort that lasts over marathon gaming sessions," said Ruben Mookerjee, VP and General Manager of the Components Business Unit at Corsair. "The new Vengeance 2000 wireless headset relieves gamers from the hassle of accidentally rolling over cables or ripping their headset connector out of their PCs during the heat of battle." "The Vengeance C70 case was designed in an ammo-box style, with an all-steel exterior for extra durability, and metal flip-up handles for easy transport to LAN Parties," said Ruben Mookerjee. "We also made sure that the case had plenty of cooling and expandability options, so gamers and builders can be assured that the case will accommodate just about anything they can throw at it." The Vengeance 2000 7.1 Wireless gaming headset uses rock-solid 2.4GHz wireless that frees and untangles gamers with battery life up to ten hours and a range up to 40 feet. Whether it’s a 5.1 or 7.1 audio source, the headset’s optimized HRTF positional audio technology gives gamers an edge with precise information about the location of opponents. It also features custom-engineered 50mm drivers and careful acoustic tuning for audiophile-grade sound with superior clarity and tight bass response. For immersive audio and hours-long comfort the Vengeance 2000 employs circumaural, micro-fiber memory foam earpads and a padded headband. 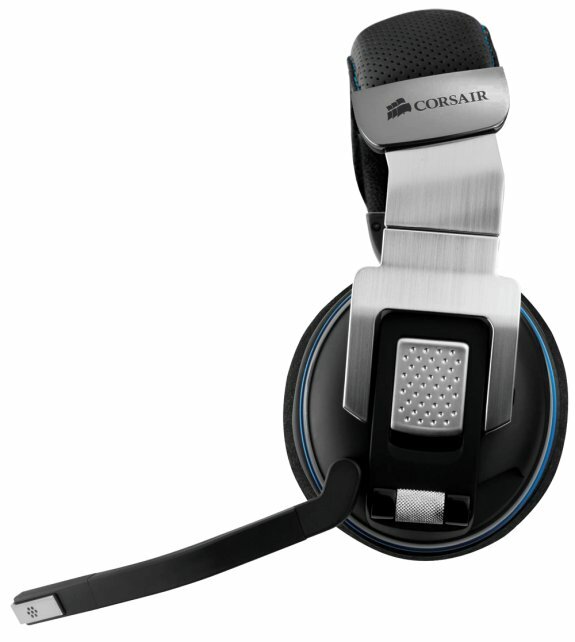 The high-sensitivity, noise-cancelling microphone helps ensure effective team play. The headset comes with a Micro-USB charge cable that can also power the headset if the battery runs low. 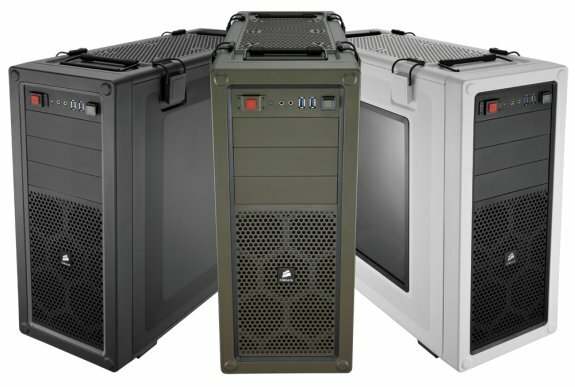 The Vengeance C70 computer case has convenient built-in carry handles and a steel front panel instead of plastic for enhanced durability. Eight PCI-E slots give you the freedom for the multi-GPU setups, and dual USB 3.0 I/O ports and six SSD-ready hard drive bays (in two removable drive cages) enable the PC to be tuned for raw performance. The C70 has up to 10 fan mounts, making it a great case for air-cooling, plus the C70 also features room for water-cooling with spots for the Hydro Series™ H100 or other 240mm radiators on top. The bottom hard drive cage can also be removed to install a second 240mm radiator. The case is available in three colors: Arctic White, Gunmetal Black, and Military Green. The new Vengeance 2000 Wireless 7.1 gaming headset and Vengeance C70 PC case will make their public debut at the PAX East gaming event in Boston, Massachusetts from Friday, April 6th to Sunday, April 8th. For more information on PAX East, visit www.paxsite.com. Vengeance 2000 7.1 wireless gaming headsets have an MSRP in the United States of $149 USD and are expected to be available in June. 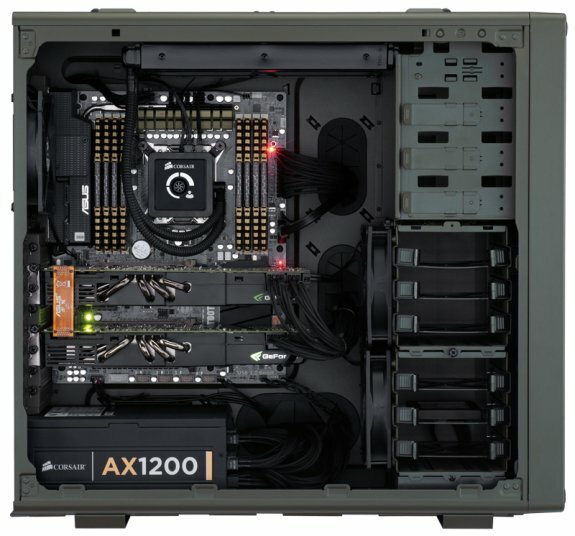 The Corsair Vengeance C70 PC case has an MSRP of $139 and is expect to be available in May.